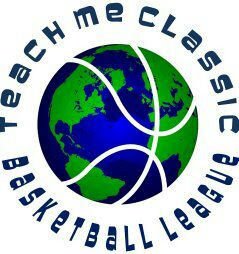 The Teach Me Classic Basketball League is becoming the next thing in the Tri-State. Wayne Swan and Mike Richarson of the Playtime Panthers organization has put together a unique and competitive league. We sat down with Swan to get his input on the league. BS: How did you guys come up with the concept of the Teach Me Winter League? WS: PLAYTIME is just continuing the tradition of doing what we've always done and that's create a safe haven for kids to develop and grow. 3 years ago we've decided to put together a league that is a tuneup for big stage tournaments like BBall Spotlight, AGame and MIT. We knew that in order to perform on the big stage, we had to prepare kids mentally and physically by challenging them every week to play against the best competition the NY and NJ region has to offer. And we realized that kids don't get better over the course of a weekend but you would see the development over a period of time, if they are challenged long enough. BS: How did the league grow so large so quickly? WS: Participating programs and players alike have said that our 10 weekend league is one of the best leagues for middle school players in the region. One of the biggest benefits is cutting back on their early season travel cost and conserving it until it's really needed until the AAU season really kicks off. BS: Where do you see the direction of the Teach Me League going? WS: It's no secret that Hackensack and Teaneck are known for good talent and great atmosphere so we knew getting teams to join would be easy. Our problem now is what to do with our extensive waiting list. We don't want to water it down too much because we want to keep it very competitive so we try to match each game up by talent and style in order to keep the games entertaining but have to admit, there may be a "blow out" every now and then. BS: What’s the most exciting part of the season? WS: Finally, the exciting part of the season is the playoffs, in which every team makes. At the end of the season we have an All-star game for each age group and that's followed by their divisional championship which is professionally recorded and this season it will be UStreamed Live on "PlaytimeTV Live". BS: Do you guys have plans for any other basketball events soon? WS: This Summer we’ll be hosting our 2nd annual Summer League that will be played outdoors at our 2 court facility in Teaneck and will be pre-registering teams at the end of the Winter league.